Audi took to the Le Mans podium for a remarkable 18th time, claiming 3rd and 4th position in the ultimate endurance race. In a dramatic race that was only decided on the last lap the Audi drivers claimed third place for Audi at the last moment with the other car coming into position four. The Audi cars had several issues throughout the race. Audi R18 lost its chance for victory as early as in the second hour when Lotterer, while leading the race, had to pit for a change of the turbocharger. The #8 Audi R18 kept pace with the front runners until a defective brake disc caused the deficit to increase to twelve laps four hours before the end of the race. 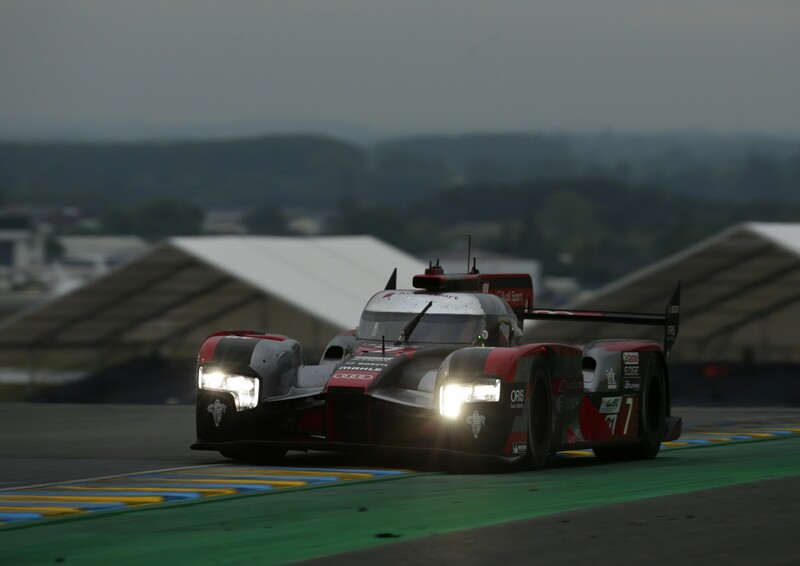 Consequently, Audi still achieved its aim in bringing both new cars home and to score valuable points for the FIA World Endurance Championship (WEC) that will continue with the 6-hour race at the Nürburgring in Germany on July 24.